In stock -This product will ship today if ordered within the next 10 hours and 56 minutes. 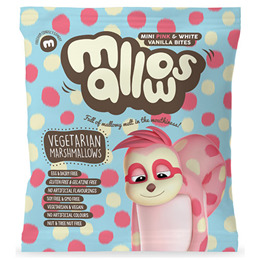 For those who can’t decide, Pink & White Bites offer the best of both mallow worlds. Great for those hot chocolate days or Rocky Road baking fun. Suitable for vegans and vegetarians. 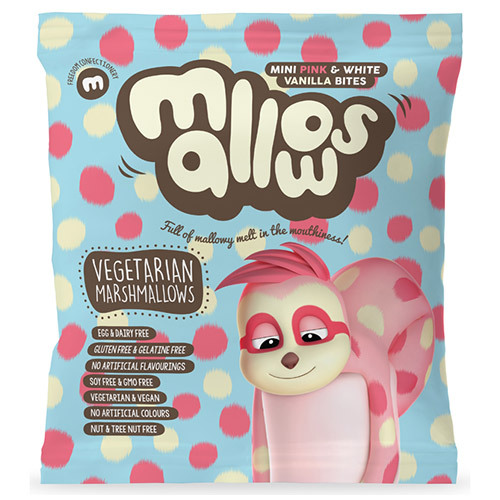 Each gorgeously melt-in-the-mouth marshmallow from Freedom Mallows is gelatine free, making it perfectly suitable for both vegetarians and vegans. And that`s not all! They are also gluten-free, dairy-free, fat-free, soy free, GMO free and nut-free, as well as not having any of those nasty additives and ickiness that many other sweet snacks have. Glucose-fructose syrup, sugar, water, dextrose, gelling agent: carrageenan, maize starch, hydrolized rice protein, stabiliser: polyphosphate, flavouring: natural vanilla flavour with other natural flavours, colour: titanium dioxide, red beetroot. Below are reviews of Freedom Mallows Mini Pink & White Vanilla Marshmallows - 75g by bodykind customers. If you have tried this product we'd love to hear what you think so please leave a review.